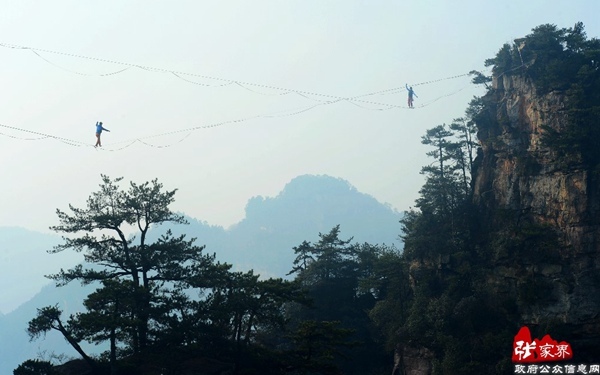 Zhangjiajie, a newly emerging international tourist city which lies on the border of Hunan Province, covers an area of 9,563 square kilometers and has a large population of 1.68 million, 60% of whom belong to the Tujia, Bai and Miao minorities. Though being not a coastal city, it is rich in water resources. 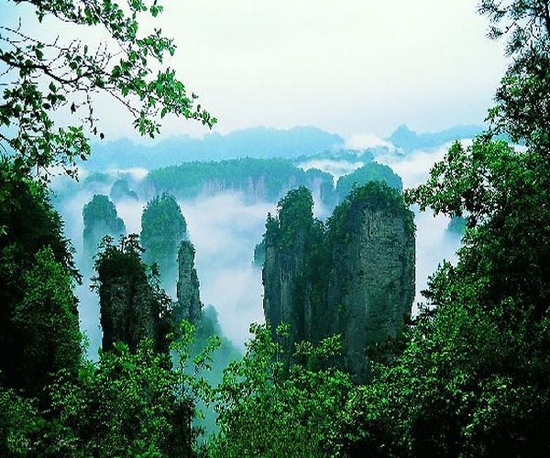 Belonging to the semitropical monsoon humid climate zone, Zhangjiajie enjoys a modest climate, abundant sunshine, flush rainfalls, fertile land and rich tourist resources. 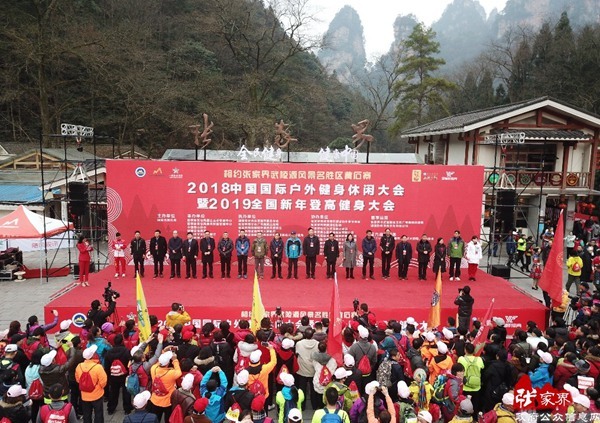 Zhangjiajie is famous worldwide for its pristine scenery and the government's potent policy on tourist infrastructure construction which of late has boosted the region's tourist industry and made it one of the new-rising popular tourist destinations in China. 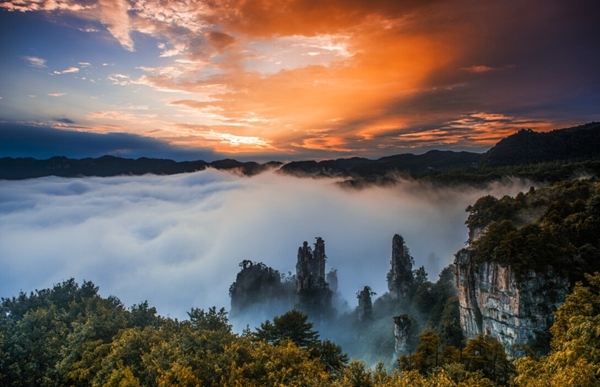 Zhangjiajie's main tourist attraction is Wulingyuan Scenic Area on the list of UNESCO World Heritage for its lush vegetation, unique sandstone pillars, pristine waters and a wide variety of species of flora and fauna. 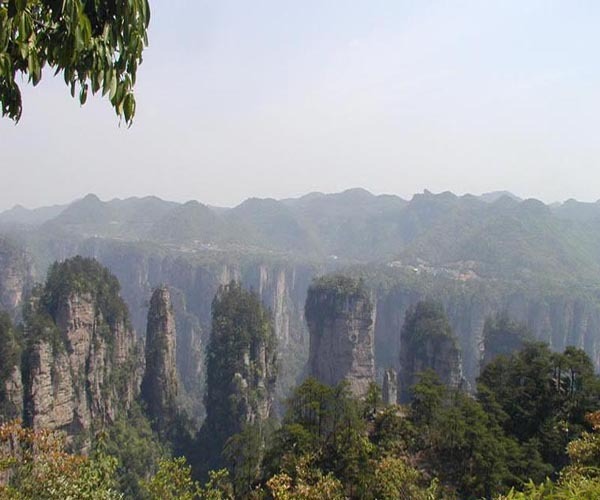 It contains three major sights including Zhangjiajie Forest Park, Suoxi Vale, and Tianzi Mountain with a total coverage of 396 square kilometers. 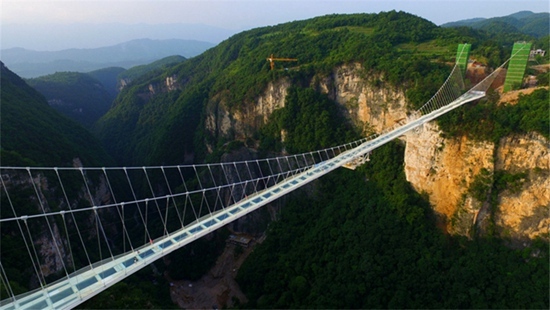 Zhangjiajie city is a vibrant tourist city. Nine Percent of the city, about 500 square kilometers, has been zoned as provincial national scenic spot as well as natural reserve. Unique scenic spots and historical sites such as Puguang Temple, Yuhuang Cave, together with the former residences of renowned He Long and Du Xinwu. Altogether this area has become an attractive cultural tour destination. The local minorities’ folk custom and folk Kong Fu (Material arts) are popular both at home and abroad. Minority nationalities：Tujia, Bai, Miao, Hui and so on. Wulingyuan lies in the Wulingyuan District of the city of Dayong and covers the entire drainage basin of the Suoxi Brook, which winds for 69 km through the site. The most notable feature, dominating about two-thirds of the site, are more than 3,000 quartzite sandstone pillars and peaks. Between the peaks are numerous ravines and gorges, many containing attractive streams, pools and waterfalls. 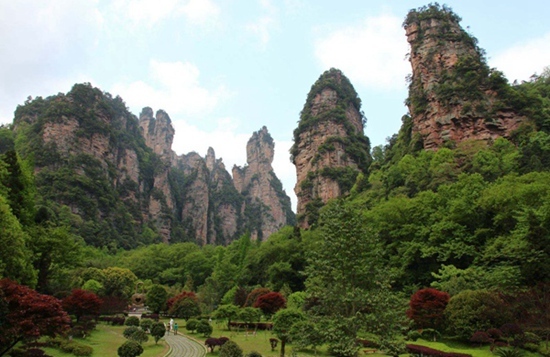 The site also contains a number of karst features, notably some 40 caves which are concentrated on the banks of the Suoxiyu River and the south-east side of Tianzi Mountain. Huanglong or Yellow Dragon Cave is said to be one of the 10 largest caves in China. Spectacular calcite deposits are a major feature of many of these caves. 3,000 species of plant occur within the area, including some 600 species of woody plant; these are split fairly evenly between tropical/subtropical and temperate species. Many of the species are of value for timber, medical or ornamental purposes. A number of faunal species are globally threatened with extinction: Chinese giant salamander, Asiatic wild dog, Asiatic black bear, clouded leopard, leopard and Chinese water deer. The clouded leopard population is likely to be very small, although tracks and others signs have been found they have never actually been seen. Unlike many other areas of China, the site does not have a long human history. In ancient times it was regarded as remote and inaccessible. Local legends indicate that Zhangliang, a lord in the Han dynasty (206 BC-AD 220), lived in seclusion in Wulingyuan and was buried below Qingyan (now Zhangjiajie) Mountain. The benevolent enjoys mountains while the wise relish waters. Baofeng Lake is a veritable place of graceful mountains, charming brooklets and friendly people. Baofeng Lake represents such a paradise that you would like to visit time after time. 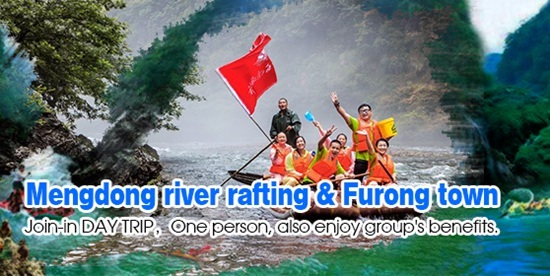 Flowing through the high gorges, a body of crystalline and tranquil water is surrounded by emerald mountains. The lake is situated part way up the mountain range, 85 meters above the ground, and attains an altitude of 585 meters. Out of its association with the Baofeng Mountain Range, the lake bears the name of Baofeng. With an average depth of 72 meters, Baofeng Lake covers an area of 15 hectares, having a capacity of 6 million cubic meters of water in total. The lake water comes from rainfall, mountain springs and underground streams, stays emerald all year around. Therefore, it is reputed as Paradise in the Human World. Star scenic spots in this area include: Baofeng Waterfall, Stone Gate Welcoming Guests, Peacock Displaying Colorful Tail, and Golden Toad Biting the Moon, Fairy Lady Reflected in the Lake and so on. Baofeng Lake located in Suoxiyu Natural Reserve, half way of the Eagle Mountain. Nonetheless such a miraculous lake is not a natural one. In 1970’s, the local residents filled the small faults of the lake with concrete to store water, thereby water level came up and a beautiful lake took shape. 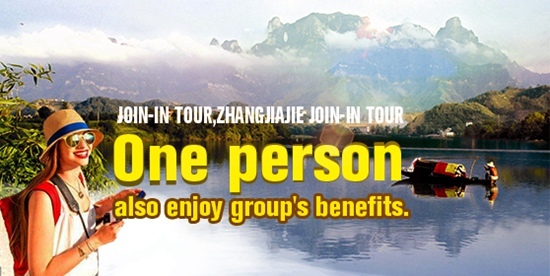 Since then, boat tours on the lake have brought a lot of fun--girls in the boat sing folk songs, and the tourists interacted with girls by antiphonal singing. Altogether the whole picture is decorated by a wonderful waterfall at the entrance. It is more beautiful in the Huanglong Cave than the outside world. No matter day or night, rain or wind, all year long, one can take delight in its wonderful scenery. The cave is of good air circulation, and is cool in summer and warm in winter. Huanglong Cave is one of the foremost scenic areas in Zhangjiajie, and was rated as one of the first 4A National Tourist Attractions. 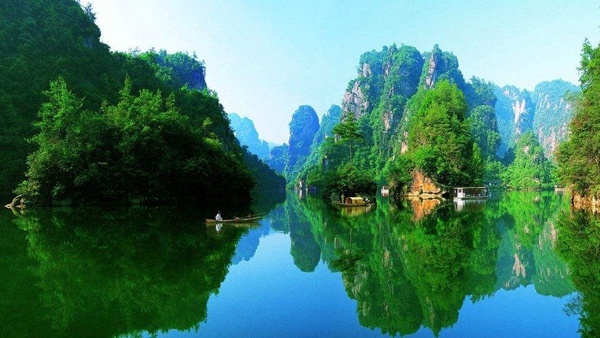 Also it has been honored as magical karst cave both in China and around the globe. Huanglong cave belongs to a typical karst formation, and it is known to all that water plays an extremely important role in its shaping. Flowing into the fissures of the karst layer, water constantly dissolves the limestone rock, thereby widening the crevice. This process continues year after year thus the caves are created. Huanglong Cave covers a proven area of 100,000 square meters. The inner recess is divided into four layers, two dry ones and two possessing waterways. The natural wonders include: one natural reservoir, 2 underground rivers, 3 pools, 4 waterfalls, 13 grand halls, 96 passageways and hundreds of thousands of stalagmites, columns and stalactites. Huanglong Cave is so complex and unfathomable, possessing such a multitude of geological features, that it’s impossible for us to take them all in at one time. This “magical place” abounds with all the sceneries that we can enjoy in the karst caves and the stalagmites in all different shapes. Many famous scenic spots have been developing: the Dragon Dance Hall, Sounding River, Immortal Waterfall, Heaven Pillar Street, and the Dragon Palace. Except for a short distance near the entrance, we won’t have to do any backtracking in the cave. The entire tour takes about two hours—2400 meters by land and an additional 800 meters by water. Huanglong Cave situated in Suoxiyu Natural Reserve, 15 minutes drive from Suoxiyu town, 1 hour drive from Zhangjiajie downtown, 20 minutes drive from Zhangjiajie National Forest Park.. It is the longest cave in Asia; also an incomparable realm of gigantic subterranean chambers, fantastic cave formations, and extraordinary features. 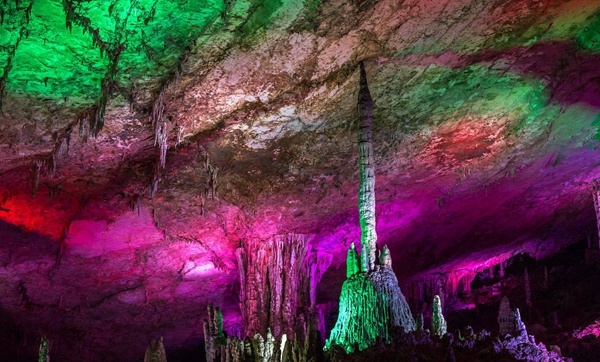 Today many of the wonders of Huanglong Cave have gained world-renown fame. The cave remained mystic to local villagers before the first caving adventure took place in 1982; they believe it was the holy home for Huanglong (yellow dragon) and spirits. Now the routes are well paved and lighted. Sturdy walking shoes, flashlights, and drinking water are needed if you want to explore the cave. Tianmen Mountain, a famous mountain first recorded in the history of Zhangjiajie, has an elevation of 1518.6 meters. 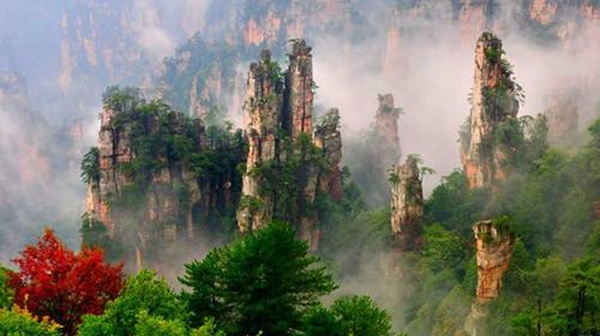 It is only 8 kilometers far from the downtown and is one of the most representative natural sceneries of Zhangjiajie. 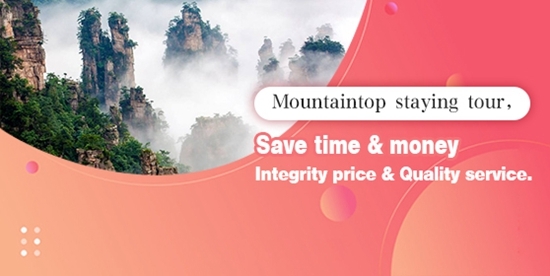 For a long time, Tianmen Mountain not only attracts the attention of the people by its miraculous and unique geographic landform and unparalleled natural landscape, but also well known for its profound cultural connotations and famous colorful humanistic sites. 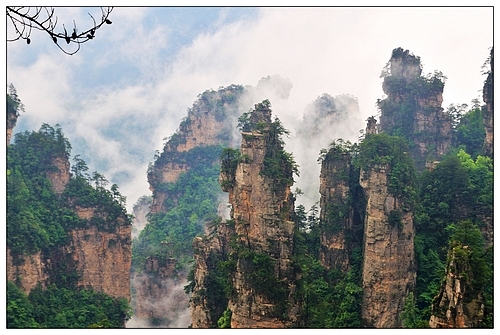 It is revered as the soul of culture and spirit of Zhangjiajie and reputed as Number One Miraculous Mountain in Western Hunan. The main body of Tianmen Mountain is uniquely skyscraping and domineering. Tianmen Cave the natural mountain-penetrating karst cave with the highest elevation in the world, hangs on the towering cliff. The cave becomes the unique sight under heaven and breeds the profound and grand Heaven Culture and Culture of Fairy Mountain in the local area. 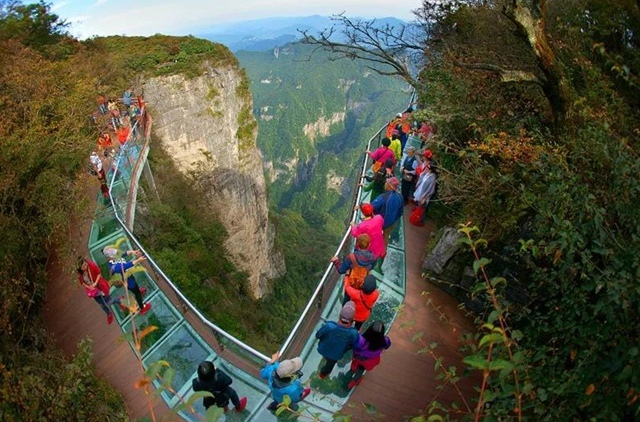 Tianmen Mountain is the second national forest park in Zhangjiajie. On the mountaintop are intact sub-primitive forests with overflowing wild atmosphere in all the seasons. In addition, the densely populated karst hillocks and karrens plus the mating of strange rocks and graceful trees create a grand garden of bonsai as if blessed by the God. 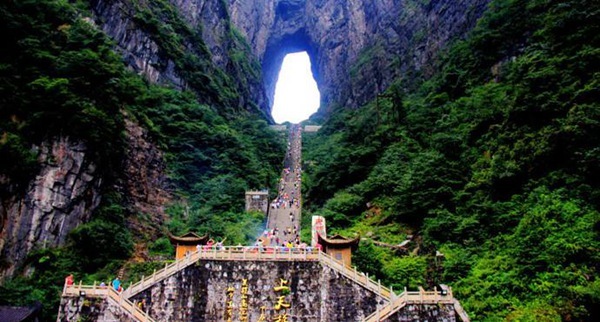 Tianmen Mountain Temple, with an area of over 10000 square meters, enjoys a booming pilgrimage ever since the Ming Dynasty. It is the Buddhist center of Western Hunan. 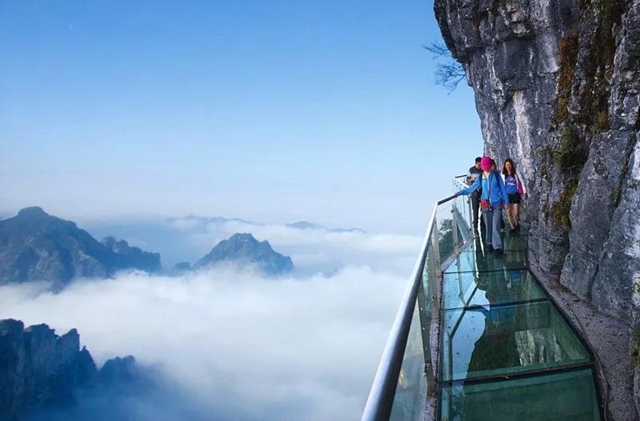 The six unresolved mysteries in the past hundreds of years such as Opening of Tianmen Cave, Shadow of Guigu, and Auspicious Unicorn have added the mysterious and elusive atmosphere for Tianmen Mountain. 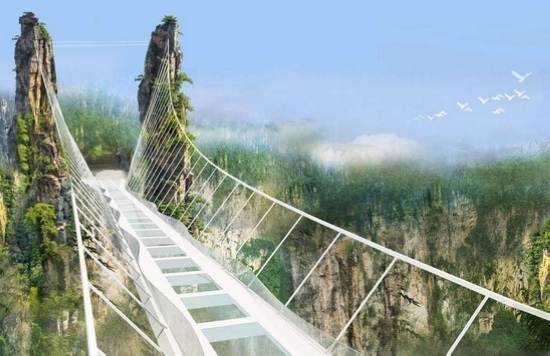 The tourist traffic design of Tianmen Mountain is worth the title of world-stunning masterpiece. It will bring stunning and unforgettable experiences for the tourists. 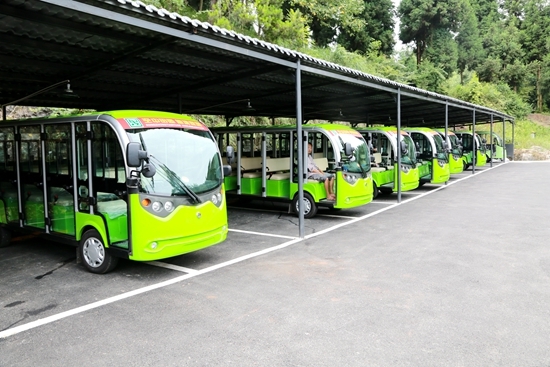 Tianmen Mountain Cableway, Heaven-Linking Avenue, Tianmen Cave and Bonsai Garden in the Air are reputed as the four great wonders. 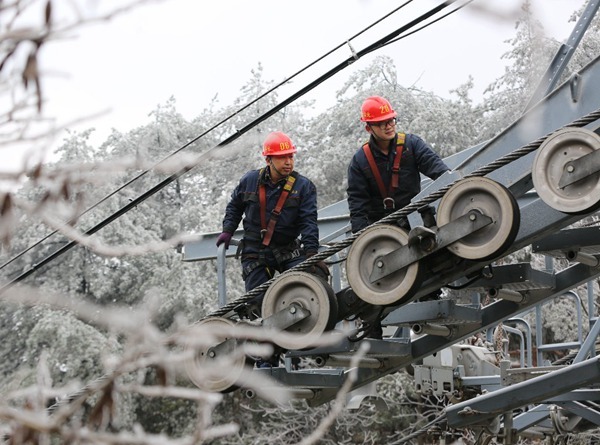 Tianmen Mountain Cableway, the longest one-way recycling passenger cableway around the world, has a length of 7455 meters and a height gap of 1279 meters. It takes the tourists from the atmosphere of modern city directly to the hug of the primitive garden in the air. During the running of cableway, the landscape transforms into a kaleidoscope, making the tourists experience a miraculous feeling of flying angels in the sky as well as of being blended into a long grand painting of landscape. The mountain-winding highway of Tianmen Mountain, nicknamed as Heaven-Linking Avenue, has a total length of less than 11 kilometers. Yet the elevation of it rises sharply from 200 meters to 1300 meters. The avenue rises steeply according to the form of mountain. The 99 blends link closely with each other and pile up in layers, making a pattern of a circling flying dragon reaching the skyline. Tourists marvel at it, which is worth the title of the Top Highway Wonder in the World. Western charm Grand Theatre, is a long history of theater in the Zhangjiajie Scenic Area.It was founded in March 2001, after eight years of development, has gradually become a world famous brand of cultural tourism.It can accommodate 1080 people in the performing arts field, located in Wulingyuan Scenic Area: Show various forms of ethnic culture and folk customs of Zhangjiajie:Singing love songs and Wedding crying and The traditional Hand-waving Dance and Xiangxi ganshi and Zhangjiajie Hard Qigong and so on. 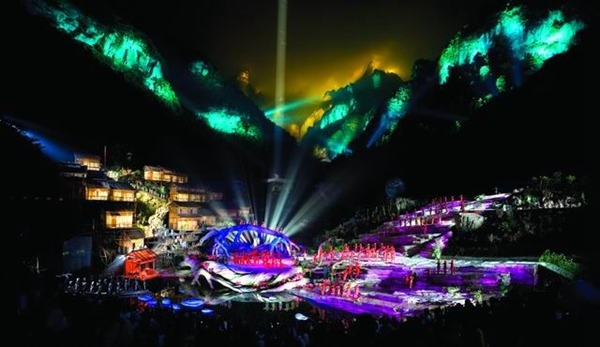 Known as the world’s first real-scene musical drama with the high mountains and deep valleys as the stage background, Tianmen Fox Fairy was put on at the foot of Tianmen Mountain, Zhangjiajie in September, 2009. Originated from a traditional Chinese myth and folk tale- “Love between Man and Fox”, the drama integrates the elements of folk music and modern art. As the story progresses, you will find settings everywhere from the foot of the hill to the peak, be it spotlight, stage for the chorus, background houses…everything. The visual presentation is spectacular and amazing, the music is impressive, and those dancers and singers are also charming. 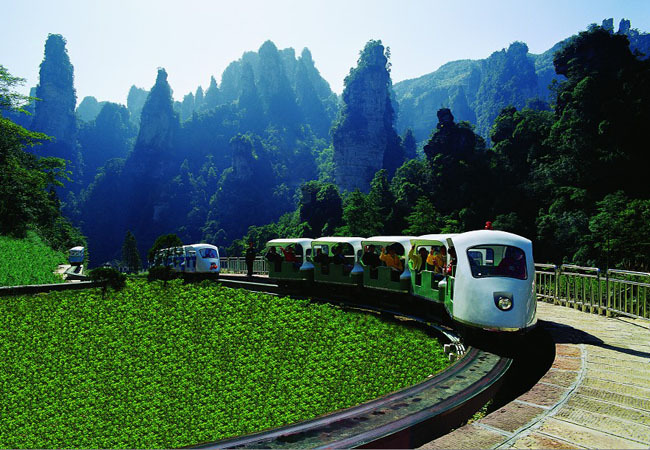 Every night except harsh winter months it will be on show at the Grand Valley of Tianmen Mountain. Here you can listen to sweet singings, admire colorful lighting scene, and experience the strong folk custom of Tujia and Miao minorities. Since this open-air drama　is only performed at night, when the weather gets cold you had better bring a coat to enjoy it. 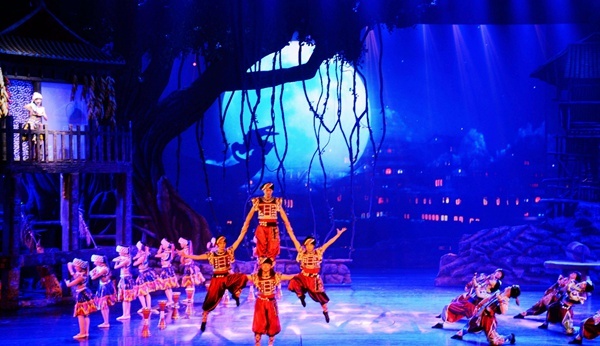 With an investment of 120 million Yuan and a cast of 530, the wonderful drama has attracted bout 150,000 travelers from home and abroad since its debut performance. Tickets are available from most travel agencies or hotels. Singing mountain songs is one of the Tujia people’s favorite traditional custom, including love songs, war songs and labor songs, etc. Yong boys and girls show love to each other by singing love songs. Wedding crying is the most important thing in a girl’s whole life, the minority people regard wedding crying as the symbol of a girl’s wit and virtue. The "Crying Marriage Song" is a folk song originating from Tujia people. 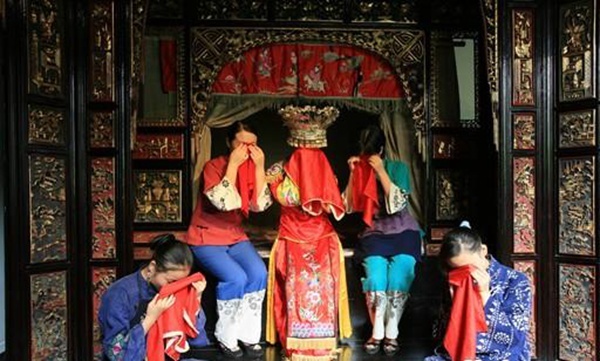 According to their customs, bride begins to cry a month before the wedding day in different ways with diversified words, to convey attachment to their loved ones and recount Tujia women's sad fate in feudal society when they had no say in their marriage, which was typically arranged by a matchmaker and her parents. Conventionally, the bride must cry for seven days at least and a month at most before the wedding, even in conditions of exhaustion. The "Crying Marriage Song" is a systematic jeremiad of Tujia women and a mirror of the feudal marriage system. The song follows a structure of "united music system ". The bride sings a long passage repeatedly, and in the process, the rhythm changes with the renewal of words. The changing rhythm, together with the weeping, expresses the singer's profound anguish. Adopting regular tune and a fixed text, the "Crying Marriage Song" features rich content, refining and plain language, impeccable rhyming and is easy to sing. 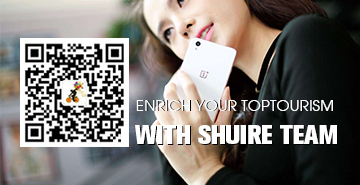 The Tujia is also a versatile nationality. The traditional Hand-waving Dance and Xi Lan Ka Pu (a kind of colorful bed cover) are regarded as the best preferable part of Tujias’art. People do Lusheng Dance as well as Bench Dance and Monkey Drum dance here. The ethnic group has their own traditional clothes, according to local chronicles, the Tujia people - both men and women wear a short upper garment and no shoes. They cover their head with a cloth and tend to dye their clothes in a variety of colors. Formerly, theTujia minority wore handmade clothing, which was dyed blue and black. Their clothing style is characterized by the notion: same in trousers, but distinct in the upper wear almost the same trousers-a kind of skirt with colorful trim, which in the late years has been changed into a kind of pants with two or three colorful stripe adorning the trouser legs. 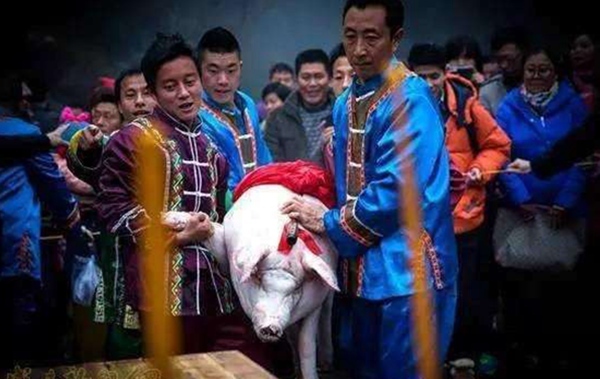 The Spring Festival is the most important and popular festival that start from the 30th day of the 12th lunar month. And the New Year’s Eve falls on the 29th of the 12th month of the lunar year, which is one day before the last day of the year. This is quite different from the Han people. The Lantern Festival falls on the 15th of the Fist month of Lunar year，it is one of the busiest festivals in zhangjiajie, all the people will go out and gather together on the street in the evening on that day, cars and buses are not allowed to run on the street. It is impossible to make a call with your cell phone because of no signal caused by crowds. 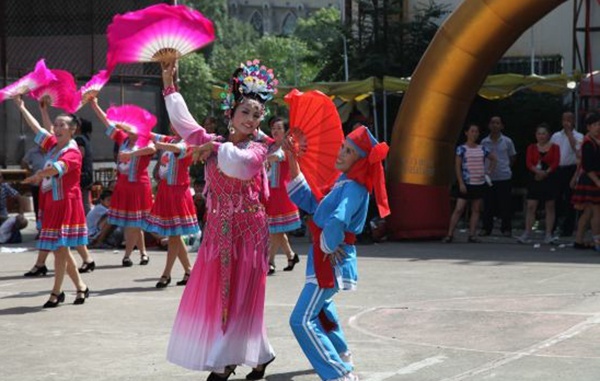 There are lots of performances such as Dragon Dance, Lion Dance, and local opera，etc. 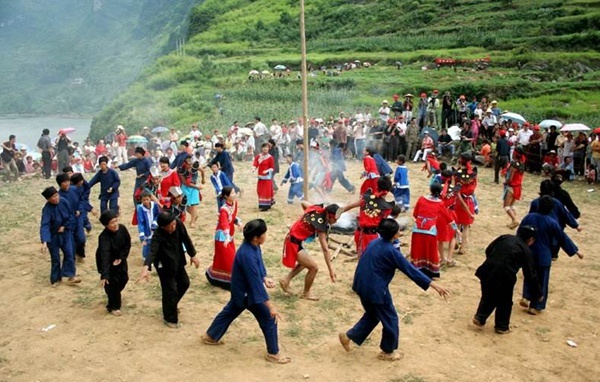 The torch festival gained the most popularity of the Bai Ethnic Group. 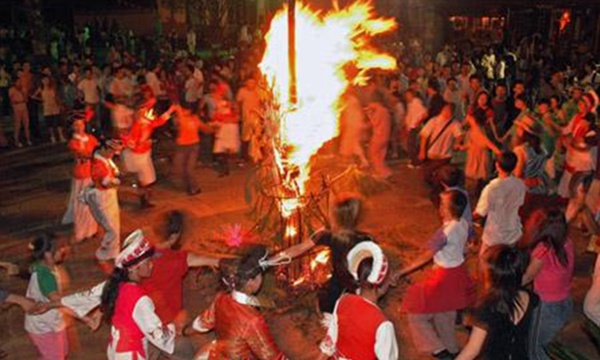 At dusk on the 25th day of the 6th lunar month, the Bai people put many torches together and jump over them repeatedly. They pray in this way to the god of Fire to eliminate all the pests hazardous to the farmland and to chase away all evil. Mid-Autumn Festival is also popular in this area. 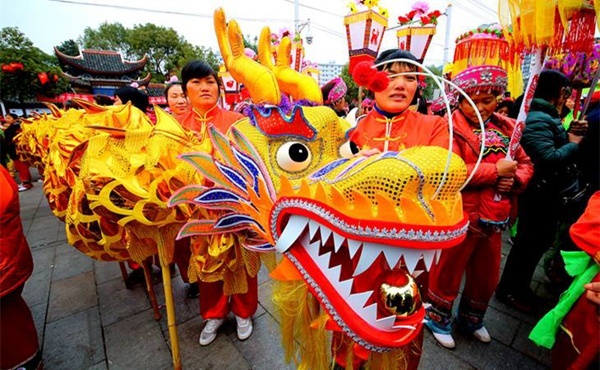 Like many Chinese, people of the Tujia ethnic group celebrate the Mid-Autumn Festival. They eat moon cake but are not very keen to appreciate the moon. An interesting activity on this occasion is for people to steal wax gourds and present them to couples who have no children, implying fertility and the delivery of babies to them.